| Italian Import | This is something for Dead Can Dance fans – and not only!!! 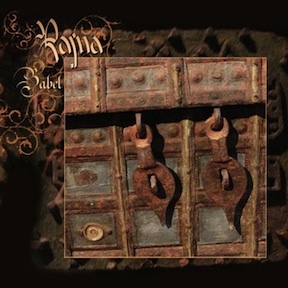 The French heavenly voices act Rajna is announcing its forthcoming album Babel for an early January 2013 release. The physical edition of Babel will be STRICTLY limited to 200 copies. Babel holds 11 tracks and is inspired by the cradle of our civilization, Mesopotamia. Fabrice & Jeanne once again explore a diversity of ethno instruments such as the duduk, the ney, the bendir, the saz, the buzuki, the whistle, the symphony, and of course its legendary and well known santoor. The band has also been collaborating with artists such as Olaf Parussel from sToa for this album. This resulted in the tracks “Offering”, “The Wedding” (which was originally conceived as soundtrack for the German documentary “Barbarossa”) and the cover version of the sToa song “Hanuz Nist”. A MUST if you are into: Dead Can Dance, Stoa, acoustic Darkwave, Ethereal, WorldMusic, Heaveny Voices and… RAJNA!! !